The Oman Daily’s Jabbar al-Rubaie reports that Iraqi security sources announced yesterday that Daesh (ISIL, ISIS) had executed a number of the residents of the city of Hawija near Kirkuk in northern Iraq because they attempted to escape the city, over which Daesh holds sway. Hawija is a largely Sunni Arab city in Diyala Province on the frontier with the Kurdish-speaking regions. 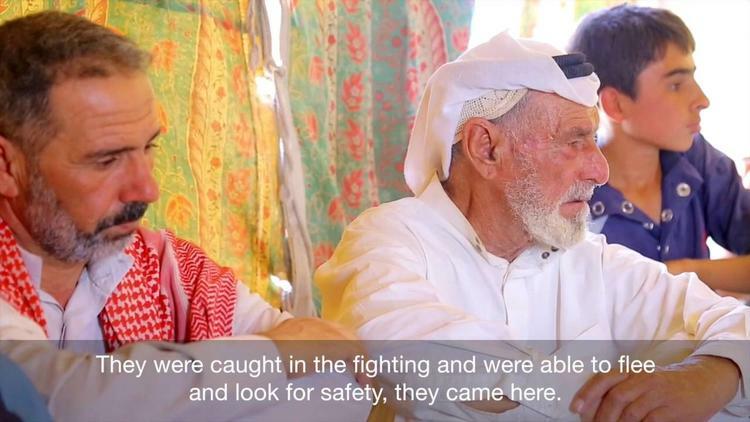 Some of its elite families welcomed Daesh fighters in 2014 but they now have buyers’ remorse. The Iraqi army is gradually moving north, fighting Daesh in towns and villages around Mosul, the country’s second- or third-largest city, which is now the only major power base for Daesh in the country. The governor of Salahuddin Province, Ahmad al-Jabouri, announced that 120,000 people had fled Daesh territory and areas where the Iraqi army is advancing, going south to Tikrit and its environs just in the past couple of days. Hawijah, being close to the now largely Kurdish city of Kirkuk, was used by Daesh as a staging ground for attempted strikes into Iraqi Kurdistan. The Kurds have riposted with their own paramilitary force, the Peshmerga, who have besieged the town in the past year. It has also been subjected to allied bombing campaigns. Last January, as well, hundreds of residents made a break for it, attempting to flee. This past week, again, hundreds of people from the city tried to get away from the extremists. An officer of the Peshmerga announced that he had welcomed 600 refugees escaping from Hawijah yesterday morning and had given them assistance. Some of those escapees told the Peshmerga, however, that Daesh had jailed hundreds of others who tried to get out. They are said to have executed a number of young men of fighting age on the charge of fleeing from the territory of holy war to the territory of disbelief. Anwar al-Asi, head of the al-`Ubayd clan, who heads up a force of rural fighters against Daesh in the region, told Agence France Presse that a massacre was looming int he city and that the Iraqi government must immediately act to save those who besieged. He said that about 100,000 persons are still besieged inside the city. Iraqi forces are ramping up their campaign toward Mosul in the north, having taken most of al-Anbar province in the west back away from Daesh. They receive air support from the US and its allies. In the past two weeks Iraqi forces have been advancing on Hawija. Meanwhile, the UN High Commission on Refugees confirmed Friday that Daesh has imprisoned some 3,000 Iraqis for attempting to flee the violence in the Daesh-held areas (by now mainly the large city of Mosul and its hinterland). It said that at least 12 had been executed. The Iraqi Observatory for Human Rights went furthers, saying that 1900 Iraqis have been jailed by Daesh for trying to get out, including women and children.